Home Binary Options Guide to investing in mining in B.C. Guide to investing in mining in B.C. Before you invest in mining, you should thoroughly research the investment, take some time to study how the industry works, and consider the financial risks involved. You should also discuss the investment you are considering with a registered investment advisor before you decide to invest in a mine or mining company. In this article, we provide a high-level view of the industry and discuss two common mining investments. British Columbia has rich reserves of minerals, including coal, copper, gold, silver, lead, molybdenum, and zinc. Investment opportunities in the mining industry reflect these diverse mineral deposits. Companies large and small explore or prospect potential sites, develop infrastructure, and operate mines. A mineral deposit’s viability is dependent on many variables. One change to a variable can slow or halt mining activities. As a result, there is high risk that investors could incur significant financial losses with a mining investment. Mining is an established and structured industry. 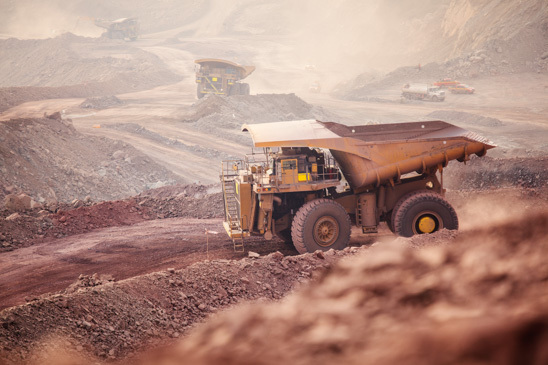 Junior mining companies largely focus on prospecting and exploration; senior mining companies (also referred to as major mining companies) focus on development and operations. Minerals are a finite resource. Existing mines in B.C. will not last forever. Therefore, mining companies need to prospect to find new, viable mineral deposits. There are generally two kinds of exploration: brownfields exploration and greenfields exploration. Brownfields Exploration happens close to an existing mine or deposit. The belief is that nearby locations will have a higher probability of holding similar valuable minerals. The existence of an initial deposit does not guarantee another deposit will be nearby. Greenfields Exploration happens in undeveloped regions far from other mines. This process is lengthy and investors need to be aware of the high risk associated with prospecting in uncharted territory. There is a chance the company will not find a suitable mineral deposit to provide a return on the initial investment. Investing in any exploration-staged company is a high-risk investment. The lengthy and expensive prospecting process requires a lot of upfront capital with no guarantee of a return. To offset risk and fund these lengthy undertakings, companies may choose to raise capital. Selling securities through public and private offerings is one way mining companies raise capital. Even if an exploration site shows potential, further investigation may reveal that the site is not commercially viable. No one can promise you a guaranteed return on your investment, and a mining investment cannot be guaranteed by any organization. The development of a mine is expensive. In this stage, in-depth engineering studies verify the deposit’s size, economic and technical viability, and environmental impact of operations. Negative results from any study could halt the project. If the mineral deposit holds up through these engineering studies, the company may decide to build infrastructure. This allows a mine to be put into operation. During the operational stage of a mine, material is removed from the ground. That material is then processed to extract the valuable minerals. External variables such as commodity prices play an important role in determining the success of a mine. A large mineral deposit may be unfeasible if demand for the mineral and/or the price drops. Sometimes mines close because of low commodity prices, only to reopen when prices recover. What are Junior and Senior Mining Stocks? When people refer to junior mining stocks, they are talking about shares in junior (small or smaller) mining companies. These companies are a crucial part of the industry as they usually focus on exploration of new mineral deposits. There is also no guarantee a junior company will generate any value for an investor. Junior mining stocks are often less expensive to buy than major mining company stocks. This is because junior mining companies generally are smaller entities, often focused only on greenfields exploration. They do not have mineral resources or reserves and they do not have any history of developing mining plays. Exploration by junior companies requires large amounts of capital; work on the ground, expertise and (sometimes) a little bit of luck to provide a return for investors. It often is a high-stakes treasure hunt without a map and it is difficult to accurately predict a successful outcome. Once a mineral deposit has been defined, studied and proven viable, most junior mining companies try to sell the deposit to a major mining company rather than decide to operate a mine. Junior mining companies can lose significant value because of these risks. Senior mining companies (sometime referred to as major mining companies) focus on mine development and operation. They often also invest in exploration or in junior mining companies. Senior mining companies purchase the rights to known unmined or partially mined mineral deposits from junior companies or other stakeholders. They then develop mining infrastructure and oversee mining operations. These companies may have diversified portfolios with shares in many local and international mines to strengthen their businesses. Major mining companies usually project production costs, and provide estimates of financial returns in annual reports. No person or organization can promise a risk free return on an investment, in mining or any industry. There is always risk that you’ll lose money. The mining industry is continually at the mercy of global markets. Mining company valuations and commodity prices can change without notice. Make sure you clearly understand the risk of an investment. Consult with a registered investment advisor before making investment decisions. You may also want to speak with an independent geologist, lawyer, or accountant when looking at a mining investment opportunity. Go to the BCSC Mining Page to learn more about mining regulation and disclosure in British Columbia. Previous articleWhat is a Forex MQ4? FX Master Bot Scam Review: DANGER! KEEP AWAY! Epix Trader Review Looks at Epix Scalping Bot!